Like Santa’s workshop, RC Components works year-round making cool toys; they just don’t care if you’ve been good or not. The Revolt is one of three new wheel designs from the shop for 2018. This nine spoke design features smooth and twisted lines that work together to create the illusion of speed while sitting still. Machined accents highlight each spoke and transition seamlessly onto the outer edge of the wheel. Sizes range from 16- to 26-inch. The intricate details and craftsmanship of this new design goes to prove why since 1989 RC Components has remained the industry leader in custom motorcycle wheels and accessories for Harley, Indian, Victory, Suzuki, Kawasaki, Honda and Yamaha motorcycles. Matching accessories such as Airstrike Air Cleaner, rotors, pulley and sprockets are available. Proudly made in the U.S.A. 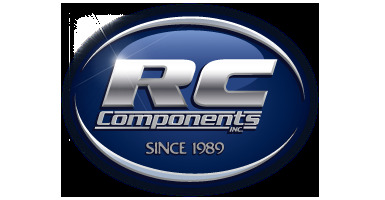 Since 1989 RC Components has been recognized as the premier manufacturer of motorcycle wheels serving both the aftermarket and custom bike builder. We have grown to over 10,000 dealers worldwide in 36 countries. Our brand is known for innovative wheel designs, quality and un-matched 7 year chrome warranty. All of our products are designed, engineered and manufactured under one roof in Bowling Green, KY. Quality starts on the inside, and because we control the process we control the quality. Our customer service and passion for our products and the industry in which we serve is second to none. We are committed to 100% customer satisfaction with the goal of exceeding our customer’s expectations and will stop at nothing to deliver the finest quality products for the motorcycle enthusiast of today.